Marijuana is a budding industry. Can it be scaled? When Cody Stevenson was medically discharged from the Marine Corps, he was diagnosed with post-traumatic stress disorder. He didn’t like the medications he was given, and he self-medicated with alcohol. On a trip to Jamaica, he discovered that marijuana alleviated his symptoms. He went back home to Denver, CO, and pivoted his career to focus on cannabis. He started a job board site for jobs in the cannabis industry, which was acquired and became Ganjapreneur.com. “I just want go down a path to help veterans, educating them on cannabis use,” Stevenson said. He now works with several other companies to help expand the recreational marijuana industry. “Cannabis is actually a really good thing, and it can help a lot of people. But it’s important for us to regulate it so we can study it and actually understand it,” Stevenson said. Nine states and Washington, D.C. have legalized recreational cannabis. Advocates say the industry is an economic opportunity; fully legalizing cannabis has added jobs and tax revenue to local economies. Others say it’s a step towards overdue criminal justice reform, and could save states millions in unnecessary law enforcement expenses. To be sure, it’s only one industry in the American economy. And each state’s system looks different, making it harder to predict the greater economic impact of the entire industry at a national level. But as other states toy with legalization, a greater question remains: whether the economic impact from this new industry is significant enough to push forward legalization in other states. Projections show the industry is on a path to grow significantly. A recent report from New Frontier Data, which studies the economic impact of the cannabis industry nationwide, estimates the total legal cannabis market was worth $6.6 billion in 2016. It projects that it could be worth $24.1 billion in 2025. The federal government still classifies marijuana as a schedule 1 drug, where it is criminalized and ranked equally dangerous as heroin, and as more dangerous than cocaine. In recent years, a growing body of research has shown marijuana can help alleviate the effects of symptoms of PTSD, and can help relieve pain for patients with multiple sclerosis and specific forms of epilepsy. Medical marijuana is legal for those reasons in 29 states. But marijuana is also used recreationally. Historically, some of the first efforts to legalize dated back to the 1970s, and a recent wave of states have framed it as a state’s rights issue. Advocates point to the economic impact of legalizing and taxing a product that many use recreationally. In Colorado, legalizing recreational marijuana has created 30,000 direct jobs in the industry, according to the Marijuana Policy Group. There are surely other jobs that have been created thanks to the industry. It would include construction jobs needed to build affordable housing units, in a project financed by marijuana taxes. The Marijuana Policy Group estimates that indirect jobs created because of the marijuana industry could be 2.5 to three times the direct jobs number, but it’s difficult to measure because of how employment is defined. In Colorado, recreational marijuana was legalized in 2012. Taxes on cannabis products have become Colorado’s sixth-largest source of state income. It’s a heavily-taxed item; for cannabis products, the state charges a 2.9 percent sales tax, an excise tax of 15 percent, a special sales tax of 10 percent, plus license and application fees. In the 2016-2017 fiscal year alone, Colorado brought in $247 million in taxes, licenses, and fees revenue from recreational marijuana. Colorado and its municipalities have been using its new tax revenue to fund projects that have been neglected. It has helped pay for paved roads, public schools, and build new affordable housing buildings in Denver. Pueblo County plans to use its tax revenue to give scholarships to its students for college. “I think it’s really cool to see that tax money that’s coming in is being used for good,” said Stevenson, veteran and founder of Denver-based cannabis job site Ganjapreneur.com. In other states, the transition to a recreational marijuana economy has been rockier. California’s new recreational marijuana program went into effect on Jan. 1. But sales fell short of expectations. Gov. Jerry Brown estimated the state would yield $175 million of tax revenue in the first quarter of 2018; it only earned $60.9 million. The low numbers may be due to California’s organizational structure. California’s system is built on local control; anyone who wants to grow, distribute, or sell marijuana needs permission from a local ordinance. But only a third of California counties have passed commercial cannabis ordinances, which the state requires in order to participate in California’s legal market. “The majority of our cultivators are up north,” said Alex Traverso, assistant communications chief at California’s Bureau of Cannabis Control. In the south, near Los Angeles and San Diego, “there are a lot of retail locations.” But counties in the middle of the state still have banned marijuana. California eventually plans to use its new tax revenue to fund other state initiatives, though those address the repercussions of easily accessible marijuana. California also plans to provide new initiatives, such as education about the risks of marijuana for youth, as well as environmental programs that highlight the environmental impact of growing. Other states are also toying with legalization. New York is one site of recent rhetoric. Gubernatorial candidate Cynthia Nixon supports recreational marijuana; Gov. Cuomo softened his position on the substance and called for the state Department of Health to study its effects. After the New York Times reported that black and Hispanic New Yorkers are arrested more often for marijuana, Mayor de Blasio and the Manhattan and Brooklyn District Attorneys announced plans to “end unnecessary arrests.” And New York City Comptroller Scott Stringer released a report Tuesday, which said legalizing adult-use cannabis could bring $436 million in tax revenue for the state, and $336 tax revenue for the city. If New York legalizes marijuana, it would need to pass through the legislative process; the state doesn’t hold ballot initiatives, which is how all states barring Vermont legalized recreational cannabis. In 2013, New York State Senator Liz Krueger introduced a bill to legalize recreational marijuana in New York. Her chief of staff, Brad Usher, said the bill would maximize opportunities for retailers and producers to have separate businesses, and to funnel new tax revenue back into the communities that have been most affected by criminalization. Usher said the bill would do this with new job training programs and drug treatment facilities. 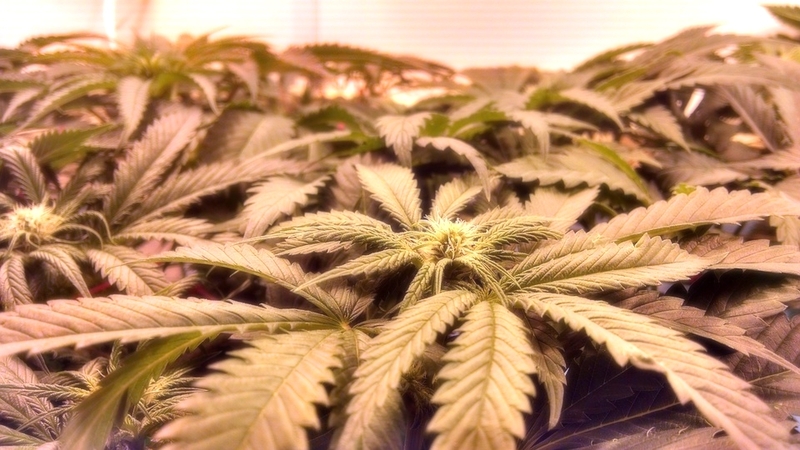 But statewide, tides are shifting in favor of legalization. A recent Quinnipac poll showed that 63 percent of New Yorkers now support legalizing marijuana. “I think I think politicians are feeling a bit emboldened and braver in taking a stand,” said David Holland, Executive and Legal Director of Empire State NORML, a marijuana advocacy organization in New York. Holland added legalization would also save the state money on law enforcement that disproportionately affects communities of color — though the amount of money saved is not clear. “There’s a whole lot of other factors out there that you can’t quantify, but that are very significant,” Holland said. 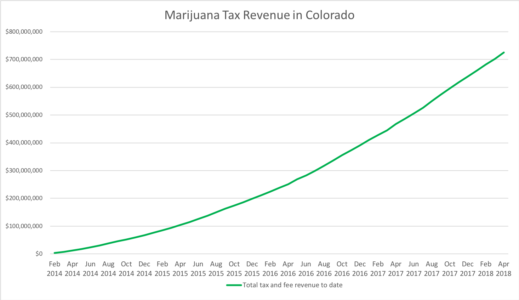 To be sure, the scale of revenue amassed from a marijuana tax, or potentially law enforcement resources saved, still doesn’t make up for a significant portion of the economy. After all, it is only one industry. “You’re going to see a pretty modest change, if any, in the patterns of employment or GDP,” in the states that have legalized thus far, said Miron, the economist from Harvard University. But it does mean bringing to light an industry that has long-operated without taxation. “People are willing to say officially that they are in the legal sector, that they’re going to report their taxes, their wages to the government, they’re going to have a W-2,” Miron said.